Those of you who run your own business know how critical it is to be able to articulate clearly who you are, what you do, for whom, and why. And yet it also happens to be one of the most difficult things to do. When I first felt the call to step out of the corporate world and into the entrepreneurial world, I was full of ideas and excitement. Finally I was going to be able to unleash my own unique genius in the way that I wanted and I was going to do things on my terms, in my own way. I had a vague idea of how I wanted to serve others through my business, and I thought that would be enough to get started. I struggled to find the right words to explain what I do in my branding and marketing material in a way that would captivate and magnetize people. Despite the passion I felt in my own heart, I wasn’t able to convey that passion to others in a way that made sense to them. I always dreaded that question because no matter how hard I tried, I struggled to spit out a powerful, succinct answer. And my business was suffering as a result. I failed to consistently attract the right people who needed what I uniquely had to offer. Thankfully, early this year I found Jeffrey Davis’ 4-month ArtMarkTM experience at Tracking Wonder, and everything changed. ArtMark is a group program designed to help you “Captivate Customers and Community with an Irresistible Brand Message and Story.” The program helps you get crystal clear on your unique brand promise, identity, and services – and perhaps most importantly – who you are here specifically to serve. Jeffrey’s philosophy and approach are built around the idea that inner clarity about your business comes from a deep awareness and appreciation of your own unique personality, gifts, and strengths. The program begins with a deep dive into understanding your unique personality, and how you specifically captivate and elevate people. 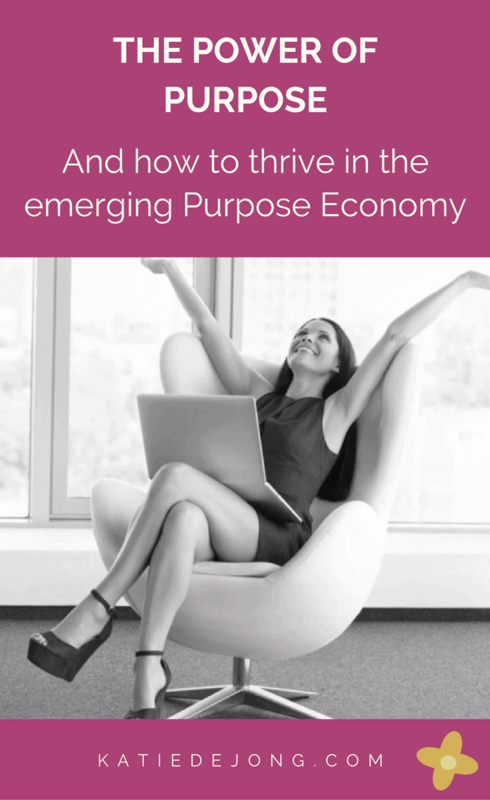 One of the tools used is Sally Hogshead’s Fascination Advantage Personality Test, which helps you discover the Primary and Secondary Archetypes that best describe your unique personality – and more importantly, how to leverage them fully to captivate your audience. ‘Your Signature Elixir’ – the unique services that you offer that solve a particular problem that people have. Developing your Captivating Story to magnetize your people. The beauty of the program is that it helps you distill large amounts of information and self-analysis into succinct sentences that capture who you are and what you do. The ability to clearly describe yourself, your mission, and your vision, are truly empowering. 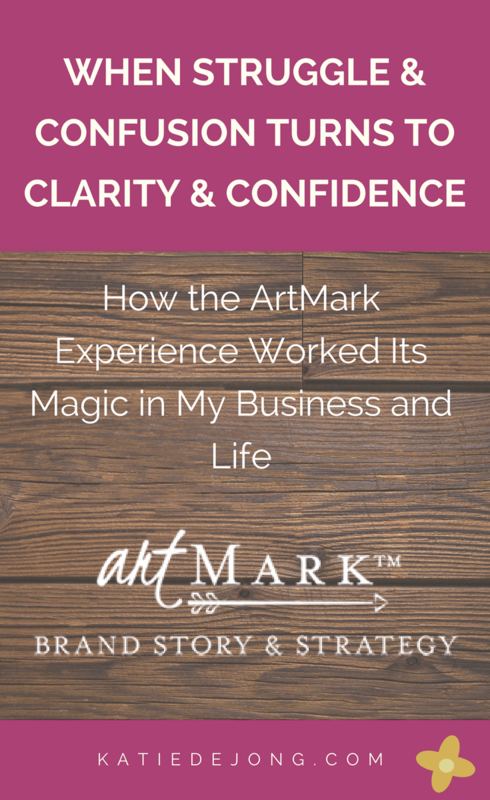 Here are some of the sentences that emerged on my ArtMark journey, which have allowed me to overhaul my branding and marketing strategy and materials in order to attract the people I am here to specifically serve. I guide people to freedom and joy by reconnecting them to their hearts and true potential. In a world where we’re so often pressured to be something that we’re not, I guide and empower heart-centered professionals to find and walk their true path so they can make a difference doing work they love. Helping Heart-Centered Changemakers Find and Walk Their True Path. The biggest revelation in the whole ArtMark experience for me personally was discovering the words to describe my ‘niche’. 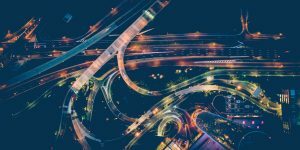 I’d struggled for so long to clearly articulate this part, which meant that I sometimes attracted clients who were a great fit to work with me – and sometimes not. I could never quite understand what the missing piece was in being able to consistently attract the right people. 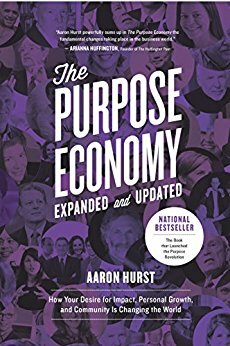 There have always been a couple of threads running through my unique ‘purpose’. I empower people to reconnect with their authentic voice and to live their truth proudly and impactfully. I help people who feel unfulfilled in their career to find the path that allows them to express themselves and their unique gifts fully. 3. I help heart-centered changemakers make the impact they desire. My hat goes off to Jeffrey and his team for their ability to help passionate and budding entrepreneurs like myself and my fellow ArtMark colleagues find the clarity and insight we desperately need in order to thrive in business and make our unique impact on the world. Jeffrey’s operating motto is always “Doing it together (DIT) beats Doing it Yourself (DIY)”. To honour some of the great work being done by my ArtMark colleagues, here are some beautiful branding examples that are the result of this year’s ArtMark experience. Michaelene Ruhl’s new website DragonFly Journeys. Suzi Hunn’s new Teach Your Thing branding and website. 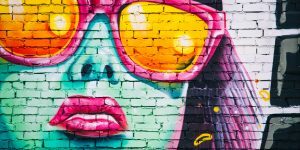 Sally Jean Fox’s new Vital Presence: Create and Thrive in Your Peak Season website and article describing her ArtMark Journey. Millie Jackson’s Gentle Warrior’s Kitchen. Anne VanBruaene Ingersoll’s new website College Bound Associates LLC. To find out more about the ArtMark experience, please visit Jeffrey Davis’ website at Tracking Wonder. I can’t recommend his programs highly enough. Please leave a comment below if you resonated with something in my article! And share with your friends using the social media icons below! Do you feel resistance when it comes to setting goals? I know I have in the past. The whole process can feel too masculine, pushy, or ‘corporate’. 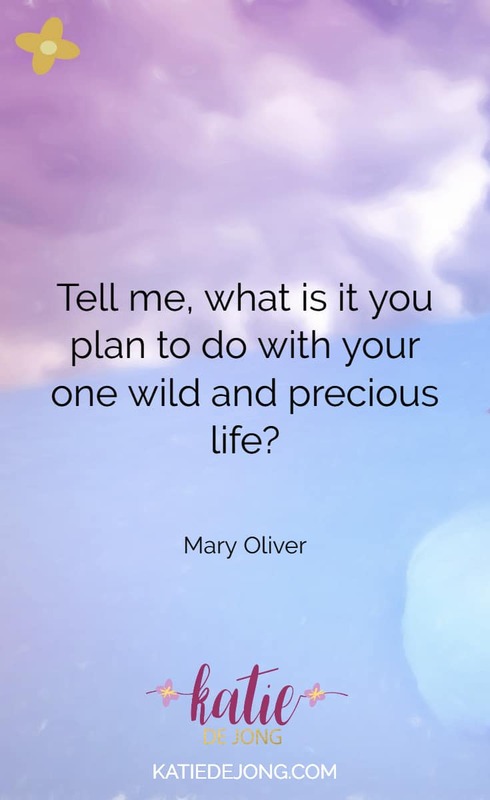 I do, however, believe that the act of tuning into your heart to listen to what wants to be expressed or created through you is essential to creating a life you love. Without some form of heart-centered intention or goal, we can drift aimlessly in a sea of possibility without having anything secure to anchor ourselves onto, and nothing to work towards that will allow us to really stretch and unleash our full creativity and potential. 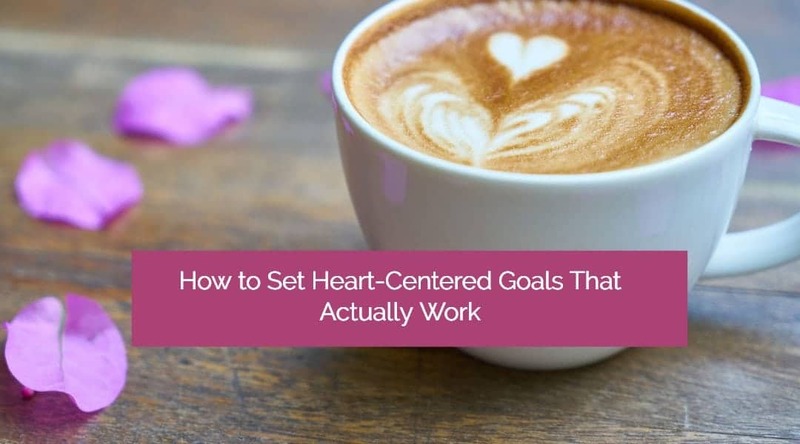 A clear, heart-centered goal acts as an internal compass to guide your daily decisions towards your ‘true north’, allowing you to more intentionally create a life you love. What do I mean by your ‘true north’? I mean the genuine, authentic desires of your heart and soul. And heart-centered goals are the means by which you align yourself with your true north. 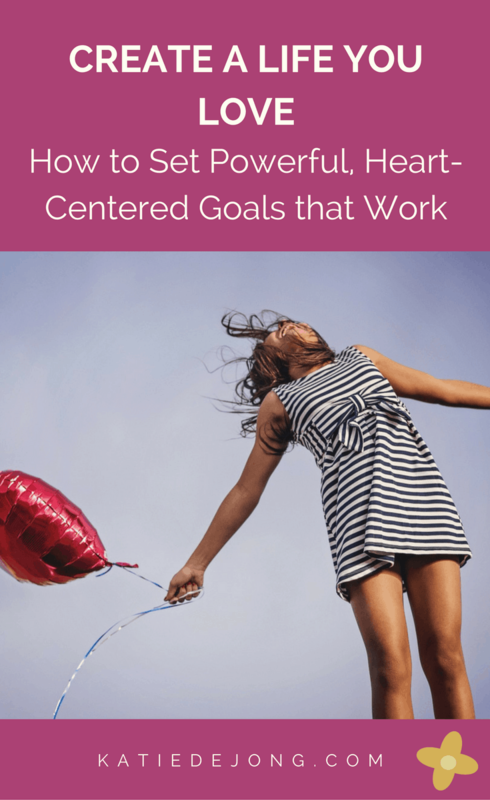 An essential component of setting heart-centered goals is the act of first tuning into how you want to feel. I give full credit to Danielle LaPorte and her Core Desired Feelings concept that has been a major force in shaping how I now approach goal-setting. Danielle was one of the first people to make me aware of how we have our traditional goal-setting processes backward. Traditionally, we focus on an end goal without taking the time to figure out how we actually want to feel, which often leaves us feeling empty and discontent when we actually reach the goal, because it didn’t actually make us feel how we wanted. A heart-centered goal lights you up just thinking about it. The thought of reaching it uplifts, inspires and motivates you. 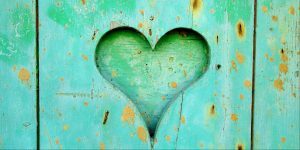 Heart-centered goals lead to ‘inspired action’; tasks and actions that feel exciting and joyful. If you’re feeling the need to set some powerful, heart-centered goals for the year ahead that will actually get you to where you want to be, I recommend you use the following process. This may take some time, but I promise you it’s worth it. And any other highlights of the year that feel significant. Here’s an article in which I reflect on everything I accomplished in 2017, which got me really excited and inspired about the year ahead. Make sure you find a way to celebrate and give gratitude for all the goodness that manifested in your life. If it feels right for you, close your eyes and spend some time in quiet gratitude. Perhaps light a candle. 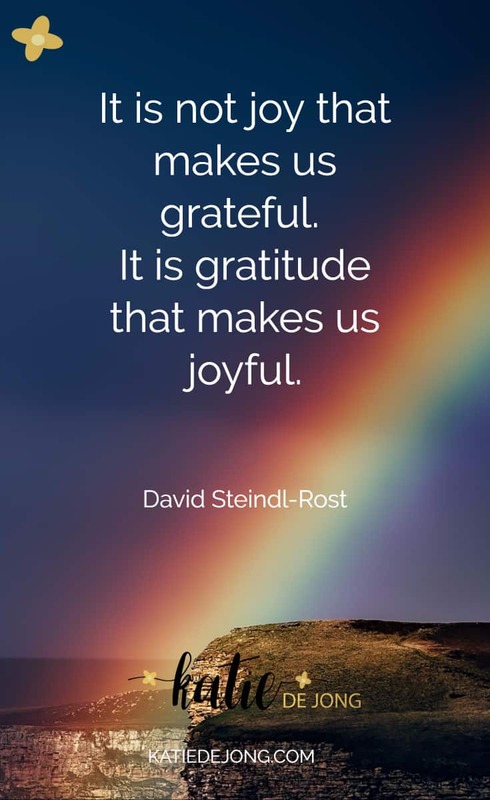 Practicing gratitude stimulates all the wonderful high-frequency emotions that are necessary for getting into an effective frame of mind for goal setting (including appreciation, joy, optimism, hope, grace, ease etc). Your vision is the final destination you desire to arrive at. You need a map to show you where you are now and where you want to end up (your vision). Then you need a compass (your purpose) to help you continuously point yourself in the right direction, in order to reach your final destination. Your vision summarises the qualities of the life you would like to live, while your purpose defines the details of how you serve others through your work. What is your vision for your future? This might be something you’re very clear about. Or maybe it’s something that’s still a bit murky for you. To develop your own vision, try to think about what your ideal, dream life would look like in 5-10 years time. What would you be doing? What kind of person will you be? What are the qualities of the life you desire to experience? What is the end destination that excites and uplifts you? 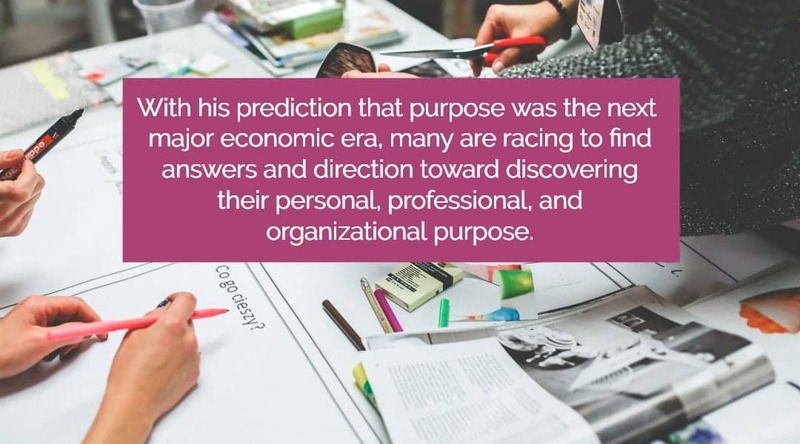 And how would you define your personal purpose? 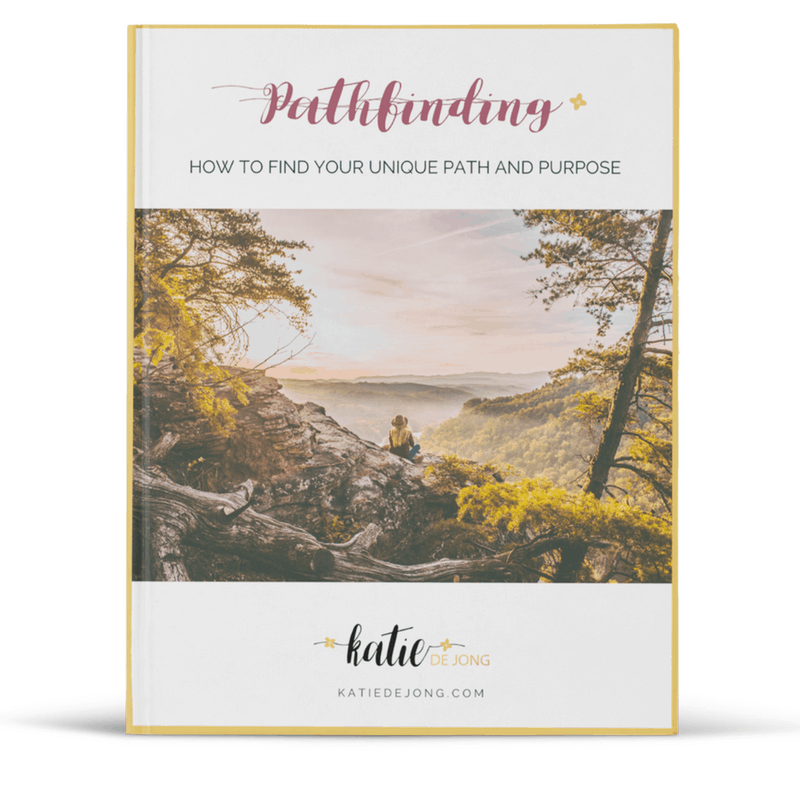 If these aren’t an easy question for you to answer and you need more help, please get yourself a copy of my E-Book – Free E-Book: Pathfinding: How to Find Your Unique Path & Purpose. 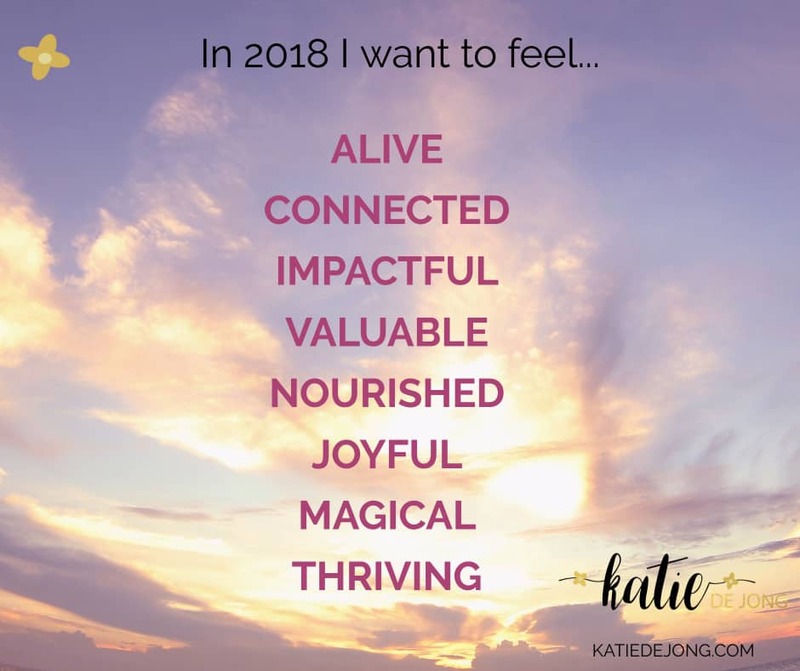 If you need some inspiration for possible feelings, take a look at my Core Desired Feelings Library inspired by Danielle LaPorte’s Desire Map. Click here to go to the Core Desired Feelings Library. If you want to set exciting, uplifting goals, it’s CRITICAL that you undergo some form of DIVERGENT THINKING before you narrow yourself down and choose goals that you want to shoot for in the year ahead. 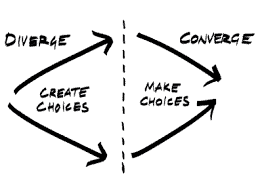 We use divergent thinking to CREATE CHOICES, and then we use convergent thinking to MAKE CHOICES. An important part of the divergent thinking process is allowing yourself to DREAM BIG and to expect ‘quantum leaps’ in your life. 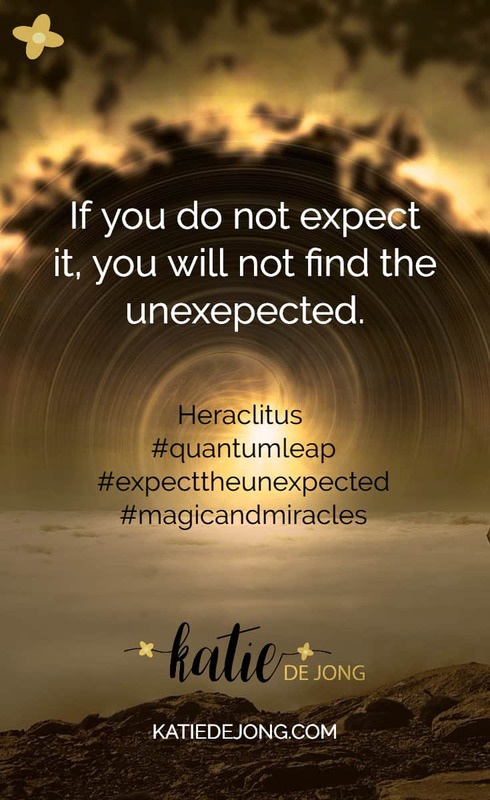 In the video below, I describe how Price Pritchett defines Quantum Leaps in his book You2 – A High-Velocity Formula for Multiplying Your Personal Effectiveness in Quantum Leaps. I highly recommend reading his book if you want to learn more about his approach, which integrates quantum physics principles into personal effectiveness tools. 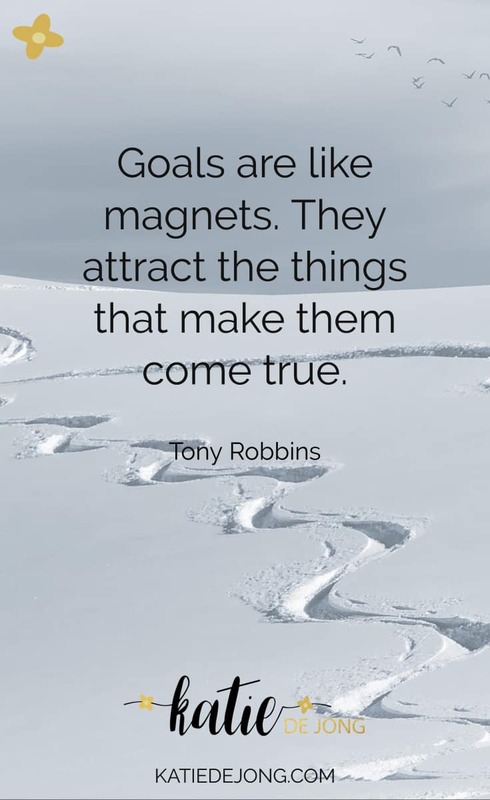 Once you get clear and excited about what you ‘want’, you can create it through harnessing the proven physical laws of our Universe, including The Law of Attraction. I wrote about this recently and how you can harness the Universal Laws to create the life you want here: How to Create More of What You Want Using the Law of Attraction. Now that you understand what Quantum Leaps are, here’s how you can align your quantum leaps with your core desired feelings that you uncovered in Step 3. Task 1: In your journal or notebook, write down all the words you chose as your CORE DESIRED FEELINGS for the year ahead on the left-hand side. Task 2: Next to each desired feeling, make two columns. In the first column, try to brainstorm some ‘normal’ goals, i.e. what Price Pritchett would refer to as your 10% incremental goals. This is how we usually approach the goal-setting process, setting goals that we believe are within are ‘achievable’ range. 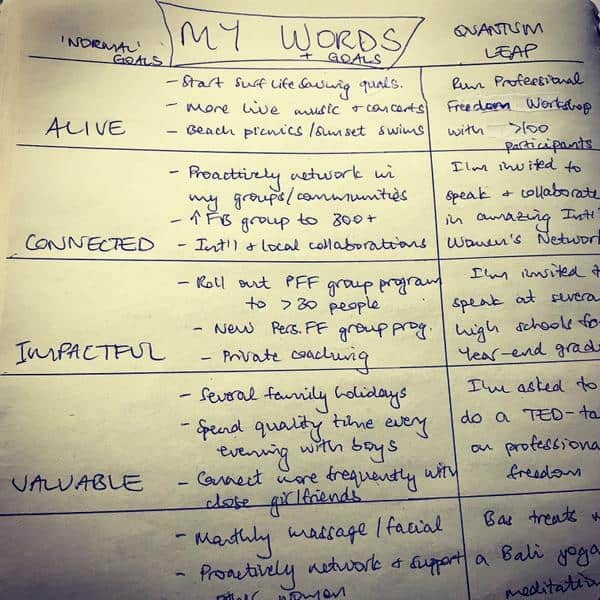 In the next column, brainstorm some possible Quantum Leap goals, i.e. things that require you to stretch your imagination and dream bigger than normal. What would be REALLY AMAZING if you could achieve it next year? This is where you get to play with your imagination and dream up some really BIG and EXCITING goals! Will this goal help me feel the way I want to feel? Is this goal aligned with my authentic heart’s desires? It’s also important not to focus on a single outcome (e.g. 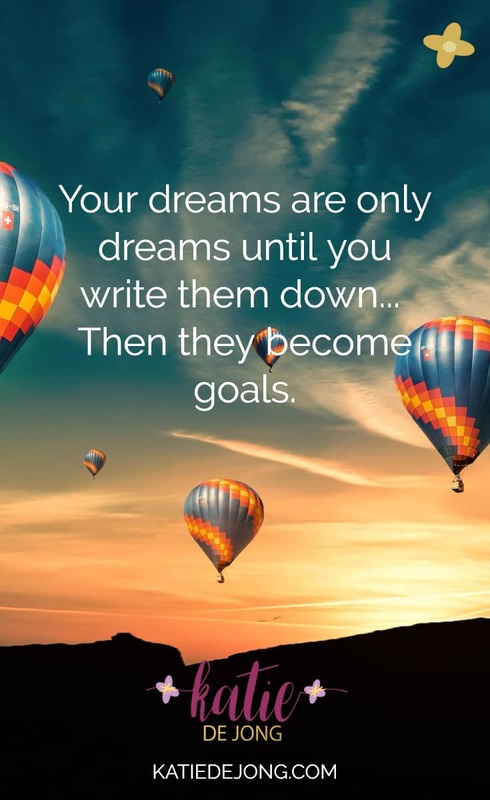 Publish my book), but rather to set goals that define the various milestones you’ll need to reach in order to reach that outcome (for example: Finalise the book structure, secure book agent, submit first draft etc). This is called ‘chunking down’ the goals into tangible milestones that you can work towards. This is where you get the chance to be specific and set realistic, yet challenging milestones and targets. To be effective, your goals need to feel like a stretch (but not too much of a stretch that it feels overwhelming), and they need to feel exciting! This allows you to take ‘inspired action’ that feels good. STEP 6: GET YOUR GOALS AND MILESTONES INTO YOUR DIARY AND PUT THEM SOMEWHERE WHERE YOU CAN SEE THEM! To make your goals real, you’ll need to schedule them into your Yearly Planner so that you can work towards them. Put them somewhere where you can see them and be reminded of them consistently. Lastly, have a think about some support structures you can put in place to make sure you regularly check in with your goals and modify them if needed if they’re not aligning with your desired feelings. What support structures can you put in place? A vision board? Hanging your goals up somewhere where you can see them? Telling your partner so they can remind you? Telling a friend and asking them to check in with you? 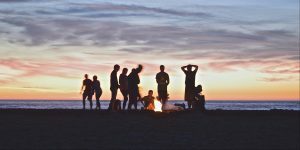 Joining a group that will actively support you in pursuing your goals? Once you decide on the goals, the actions and the support structures you’ll put in place to achieve your goals, you’re on your way! I sincerely hope this article helps you set yourself up for a wonderful year and I wish you so much success and magic in creating the life you love. 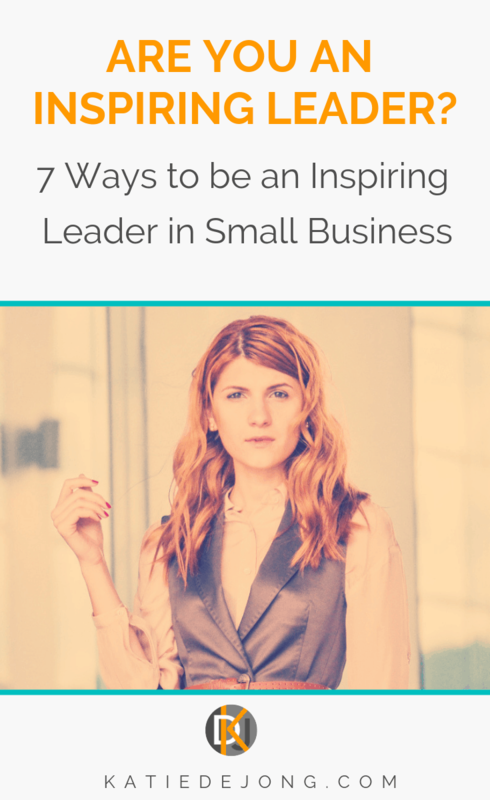 Those of us who choose to be a small business owner are in some way required to step into leadership, even if we’re not explicitly aware of it. When I quit my corporate career of almost fifteen years as a Consulting Engineer in 2011, it wasn’t because I wanted to become a leader. I had taken on various leadership roles throughout my career and enjoyed the opportunity to lead, support and inspire others. But I had quit my corporate career because I wanted to experience more joy in my work, more creativity, more authentic self-expression, and perhaps most importantly, I wanted to be more impactful and to serve others more effectively. Know how to serve my people with services and products that help move them towards that vision. 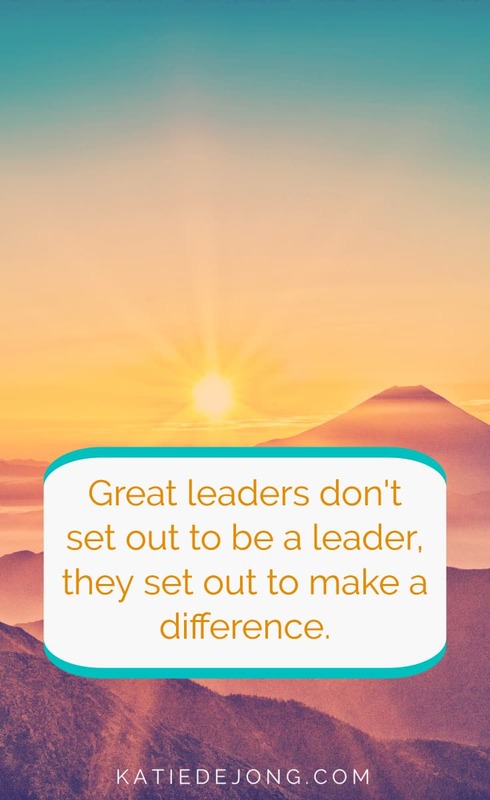 Like all of us, I’ve had the opportunity to observe some great leaders over the course of my life, and some not-so-good examples of leadership. The great leaders are, of course, the ones we all aspire to be. And if we want to create positive change in the world as business owners, we need to be great leaders. To me, the single most defining quality of a ‘great leader’ is their genuine passion and devotion to serving their people. 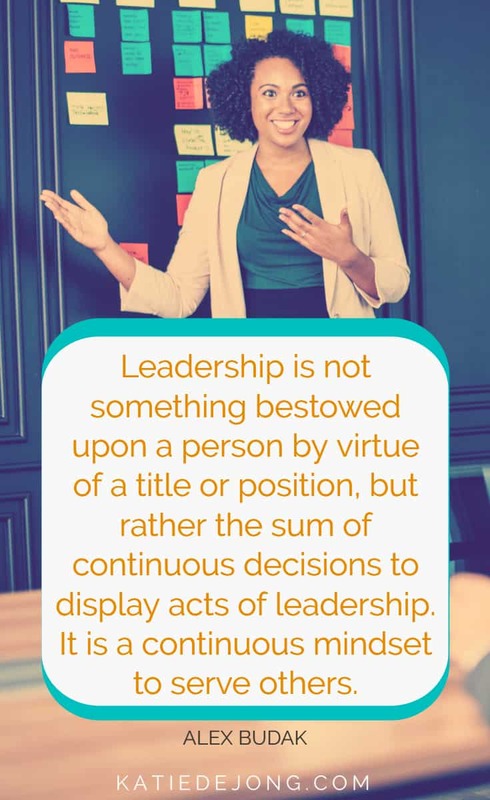 It’s often easy to tell who is in the game of leadership to further their own egotistical pursuits (power, status, influence or control) as opposed to those who are in it to make a difference. In his book Return on Character: The Real Reason Leaders and Their Companies Win (2015), Fred Kiehl describes the results of seven years of a landmark study of more than 100 CEOs and over 8,000 of their employee’s observations of their leaders. He showed that leaders of ‘strong character’ achieved up to five times the Return of Assets (ROA) for their organizations than leaders of ‘weak character’. The boss who came past each morning and asked my team members and I individually how we were going. Not in a superficial chit-chat kind of way, but in a genuine “How are you and is there anything you need to do your best work today?” kind of way. The senior colleague who believed in me and empowered me to step up, break out of my comfort zone and achieve more than I thought was possible. The manager who took it upon himself to undertake hard negotiation with company executives on our behalf to significantly improve our salaries and workplace conditions. The manager who took responsibility for a ‘big mistake’ on behalf of our team, worked with us to brainstorm solutions and empowered us to collaboratively get things back on track; no blame, just compassion, forgiveness, and empowerment to move ahead. The manager who very compassionately told me to go home to rest and take care of myself when I wanted to keep working through a personal crisis. The leader on Twitter who says she’s working on a particular issue of national concern and would like to hear everyone’s input and feedback in her comments section. She then reads all of them and acts upon them, responding to all the concerns raised. As small business owners, it’s even more critical that we continuously display qualities of strong character because our strength of character is our business; it’s our personal brand. Have a clear and inspiring vision of the future that serves as your inner compass and the compass for your business – #vision. Embody the morals, principles and values of your vision – ‘walk the talk’ – #integrity. 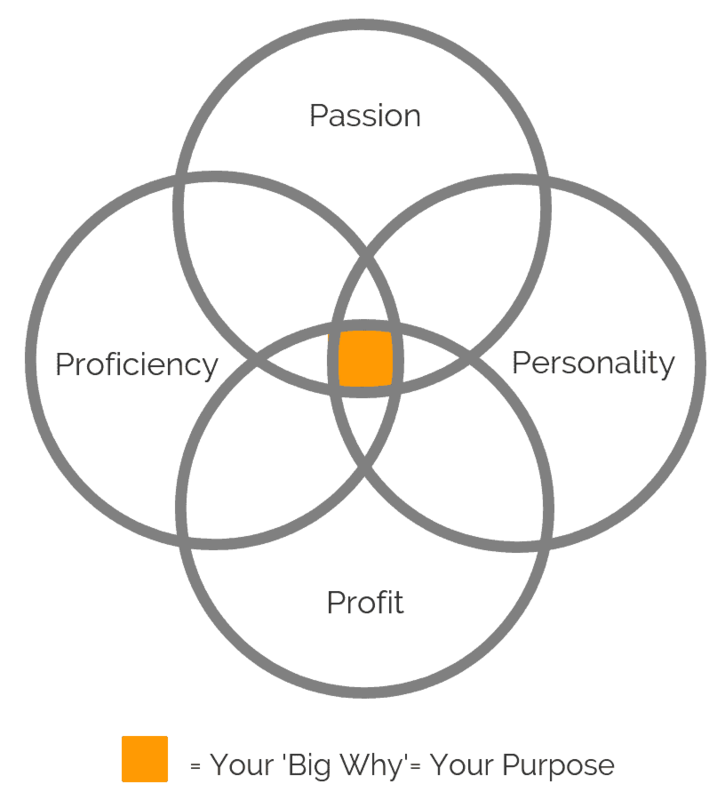 Demonstrate your genuine passion for your vision and for serving your people – #service #passion #devotion. Genuinely care about the people you’re serving and leading. Connect with them. Request regular feedback, listen to the feedback and act upon it – #listen #Compassion. Believe in your people and inspire them to be better, do more and reach higher – #empower #believe #inspire. Be kind, compassionate and forgiving to others. Failure is success when we learn from it – #failureisfeedback. 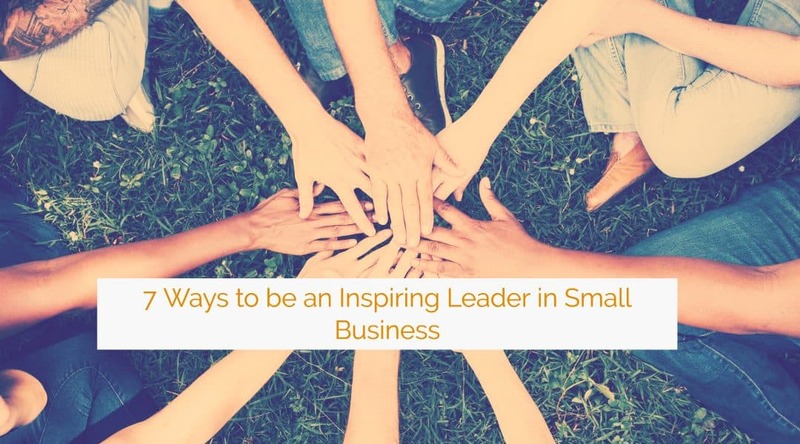 What are some of the commitments you can make to yourself to uphold greater levels of ‘character’ and become a truly inspiring leader in your role as a business owner? 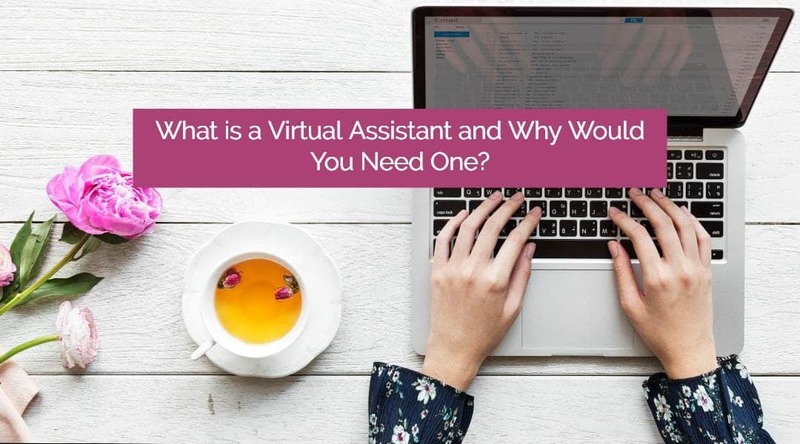 What is a Virtual Assistant and Why Might You Need One? A trusted asset who takes away your frustrations by completing the tasks you don’t want to do, letting you focus on what you love. It can be so hard when you’re starting your own business, or running a ‘side hustle’ alongside your main job, or even trying to stay up to date in the rapidly changing online world. For Gen-X people like me (born 1963 – 1980) or older, it’s particularly challenging since we haven’t grown up with the Internet, Social Media and the Online Business World like the younger generations have. Proficient ‘digital literacy’ isn’t part of our basic, native skill set, unless we’ve been educated and worked specifically in the IT fields. When I see how easily my 6- and 3-year-old boys navigate an iPad or computer, or how easily a ‘Millennial’ navigates their way through the online world, I realise how much things have changed since I was growing up and how much we’ve had to learn and adapt to stay afloat. … from the emergence of home computers, to fax machines, to E-mail … from ‘floppy discs’ to recordable CDs to USB memory sticks … from record players to tape cassettes (and ‘Walkmans’), to CDs and then to MP3 players … from Analog TV with four channels to cable-TV with 100+ channels … from basic old Radio to ‘online streaming’ … from videocassettes to DVDs and eventually Netflix-like systems. It’s been one continuous stream of technology upgrades that requires constant adaptation to stay ‘up with it’. 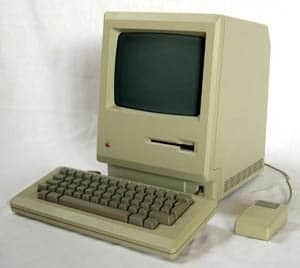 The very first Apple Mac computer that we had in our home in the ’80s. 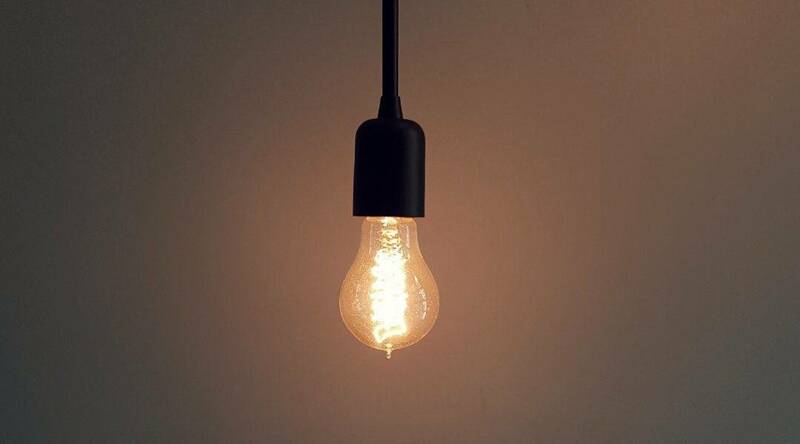 We felt very modern and ahead of the times! Still, I was proud that I always adapted well to all the technology changes. I embraced social media in 2007 and was doing fine in my previous career as a Consulting Engineer, mastering all the software and technology systems we used to do our work efficiently. I thought I was doing pretty well at keeping up with the times…. Until I started my own business. And then I realised oh how very little I actually knew about anything in the online digital world. Of course one of the first things I had to do was develop my own website, which meant finding a domain provider, a web host, choose a website builder, develop a logo and brand colour scheme, choose an email marketing host (which one?! ), build an email list, understand digital marketing, develop digital products for my marketing, make sure my website was SEO-friendly (what’s that?! ), choose business management software. People were recommending all kinds of different platforms/scheduling tools/business ‘must-haves’. To say my head was swimming in this sea of endless information would be an understatement. There were times when I just felt like curling up into a ball and retreating back into my old corporate career where none of this stuff was necessary. 1. A great business coach. 2. My Virtual Assistant (VA). My business coach helped me “see the wood for the trees”, helping me figure out what was important at that stage in my business and to choose systems and strategies that would work for me. We developed a business strategy for my small coaching business. This gave me an enormous boost of clarity and was a big help in moving forward (if you’re stuck, I really highly recommend working with a good business coach). My business coach often suggested that I start employing a “V.A.” to help me out with all the tasks that were needed to set up and keep things running. When she first said “V.A.” I didn’t have a clue what she was talking about. And when she explained what it meant, I resisted the idea enormously. I was just starting out and hardly making any money, so how could I afford to pay someone to work for me? But it’s the chicken and egg thing. 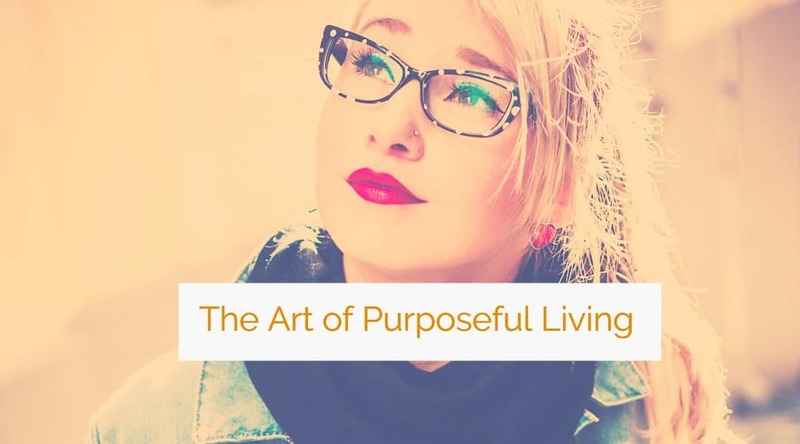 Do you continue spending your time doing things that are well outside of your own ‘zone of genius’, or do you hire someone who’s incredibly savvy in the online world to do these things for you in the blink of an eye? Do you first need to make money before you can pay someone to help you? Or do you need someone to help you before you can start earning money? It’s been my experience that it’s the latter. A Virtual Assistant is someone who is right on top of everything in the online world. They’ve either been trained or educated in the world of web development, software and/or digital marketing, or they’ve worked in these fields their whole career and so it’s second nature to them. So things that feel hard and clunky for many of us feel very easy and light for them. Their genius is website development, social media engagement, digital marketing and more … all the things that are clearly NOT my genius. And hiring a VA is not as overwhelming or daunting as it might seem. You can initially hire someone for just a couple of hours a month to help you with the most basic tasks you need covering. 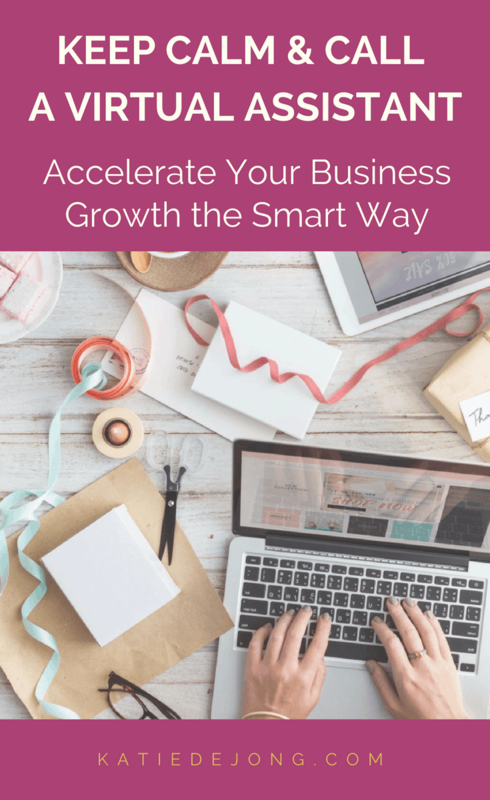 And as your business grows, you can increase those hours as you need. But it’s certainly been my experience that they can at the very least help you GET THE BALL ROLLING, and once it’s rolling, they can help you keep it rolling smoothly (as possible). 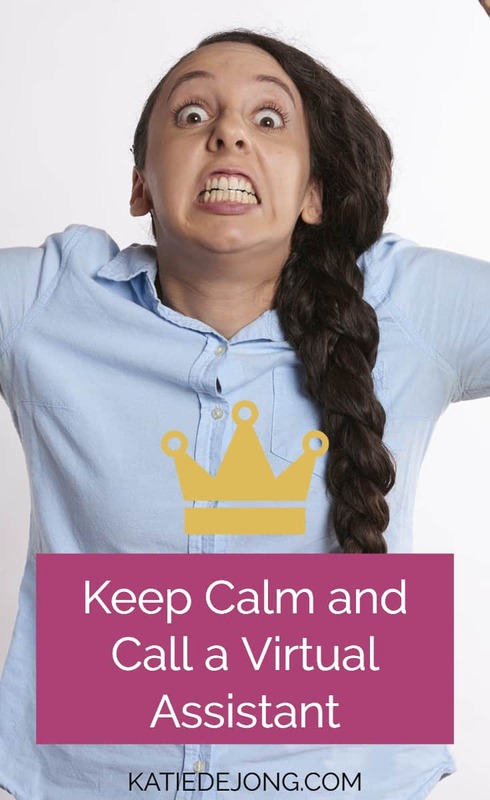 So what kind of tasks can a Virtual Assistant do for you? Set up your Client scheduling system, manage your schedule … and more. Anything you need to have done in the online world, they can do for you. The biggest challenge I find is in having the courage and foresight to DELEGATE. This has never been a strength of mine, but I’m working on it and it feels so good and so efficient when I manage to do it well. 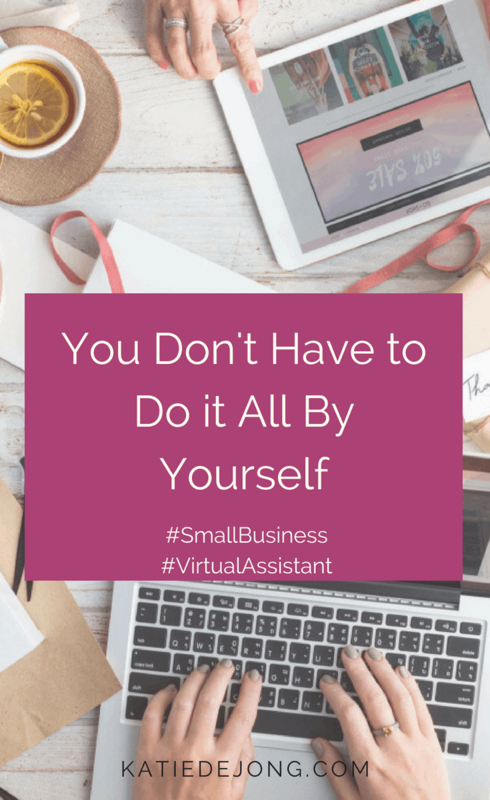 What have been the BIG POSITIVES I’ve found in working with a Virtual Assistant? I learn so much from my V.A. As I work with her I’m learning so much about all the different aspects of online business and my own knowledge and proficiency are increasing exponentially. Just one example is that she taught me everything I need to know about SEO (a concept I ignored for the longest time because I had no clue what it was). It stands for Search Engine Optimisation and it’s just a little bit critical to running a business. Thanks to my V.A., if you now search for keywords related to my business, you’ll actually find me. I hadn’t appreciated how important that is. If people are looking for a service you offer, they need to be able to find you! 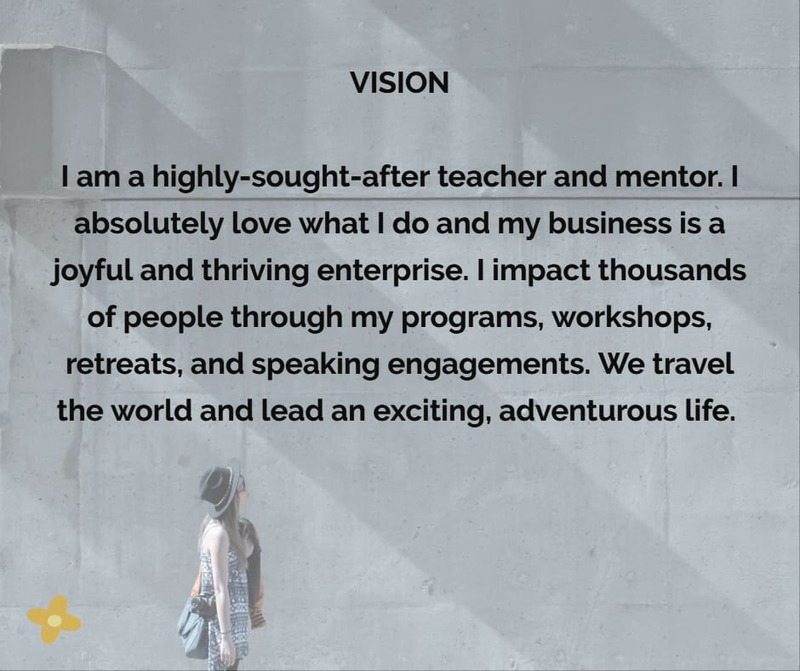 She allows me to focus on the core elements of my business – i.e. the coaching, writing, and content development – rather than wasting my time doing things that I’m terrible at. She figures out ways to do things that I am just completely stuck with. She saves me time and energy and handles the online things with way more elegance and finesse than I would ever be able to. She has helped me professionalize my online presence and as a result, I feel more professional and can deliver services that are more professional. It can take some time to find a good VA. It took me some trial and error to find the fantastic V.A. I now work with. I tried a couple of girls in the USA because the whole concept of V.A. is much more widely accepted and implemented over there (relative to Australia where the concept is still emerging). But due to the time zone differences and currency exchange (with the US dollar being significantly stronger than our Australian dollar), it was ineffective and expensive for me. You may need to try a few different people before you find the right one for you. Sometimes you’ll have a very different working style to your V.A., which can become an obstacle to a good working relationship. But when you find someone who you work well with, hold onto them because they’re worth their weight in gold! With my wonderful V.A’s permission I’m going to share her details with you (very begrudgingly because I don’t actually want to share her with anyone – lol). But she does have some spare capacity at the moment and would be able to help you out if I’ve managed to convince you that you need one! Her name is Alex Hammett at Lemon and Lime Business Solutions. I couldn’t recommend her more highly so please do reach out to Alex if you need some virtual assistance. I really hope this insight has helped you and if you’ve been unaware that you can hire a V.A., or if you’ve been sitting on the fence about getting one – please do go ahead and find one as soon as possible. You won’t regret it! For the first time ever, this year I joined an inspiring group of wide-minded, visionary entrepreneurs in Jeffrey Davis’ Quest 2017: 12 Principles to do Business as Unusual – a powerful approach to planning the year ahead that involves weekly writing prompts to invoke “a possibility mindset, provocative points of view, deep reflection and a healthy dose of wonder”. The group shares their thoughts and ideas in a Facebook forum that provides the container for everyone to share what kind of possibility 2017 could hold for each of us. As Jeffrey says “Together, we’ll seek meaning, integrity and impact in life and career while remembering that Do It Together (DIT) beats Do It Yourself (DIY)”. This is an open, free forum that you can join too if you’re looking for a thought-provoking and creative way to plan your year. 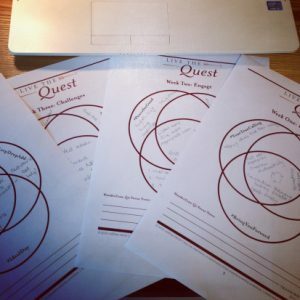 The QUEST2017 group process is finished for now, but you can still use the writing prompts in this blog to reflect on your own journey. I decided to share the process with you here for two reasons: 1) To share my reflections, hopes and aspirations with you for the year ahead, and 2) To help you reflect and ponder your own plans and ideas, in the hope that it helps you align your own heart, body, mind and soul. This is a long blog post with 12 short essays so I don’t expect you’ll have the time to read through all of it! But please feel free to scroll through and jump to the sub-headings that feel relevant for you. Below are the 12 different writing prompts from 12 different visionaries, plus my responses. This happens to be an easy one for me to answer right now because the question has been a central theme in my life for as long as I can remember. They say that what we’ve struggled with most in life is often the very thing that we’re called to do as our vocation. And interestingly enough, the one thing I’ve struggled with most in my life is having a clear sense of what my true calling is. And I’m quite clear in my heart now that helping others find their true calling is my true calling. To me, your true calling is something that makes you feel completely aligned in body, mind and spirit. 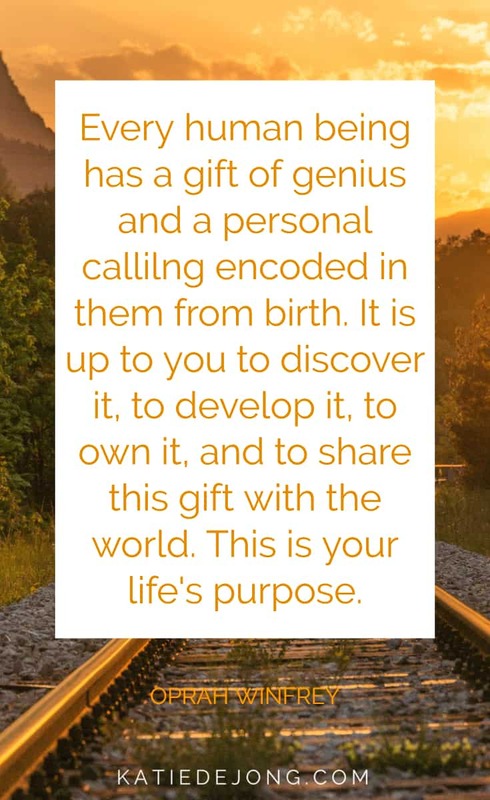 It allows you to unleash and fully develop your very specific and unique gifts in a way that feels joyful, uplifting and energising and allows you to contribute your gifts in service to something larger than yourself. I believe we each have unique and valuable gifts that the world needs and that we each have a specific calling that we’re uniquely designed for. 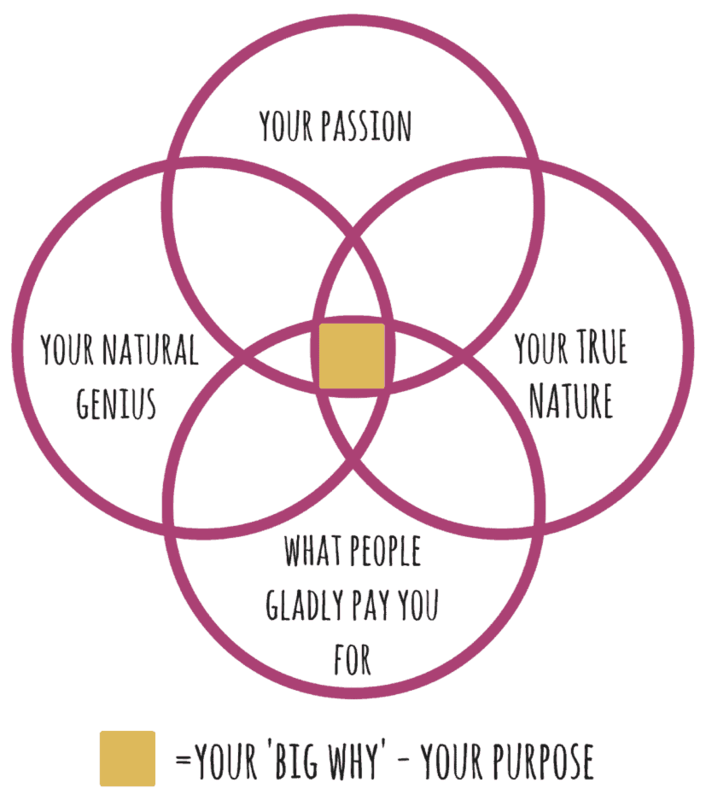 I’ve come to believe that your true calling is the alchemic ‘sweet spot’ where your true nature (your authentic self), your natural genius (your natural strengths and talents) and your passion (what you care about deeply) intersect. Walking the path of your true calling allows you to become more and more of who you are (a process of unfolding), while giving your gifts in service to something that the world needs. I now dedicate my business to helping people uncover their true calling through a process that’s designed to find their own sweet spot where natural ability meets passion and joy. If we’re doing something for the money or success or image, it isn’t our true calling. If we’re doing something for the job security and to play it safe, it isn’t our true calling. Sure, we may have to do these things as intermediate steps on the way to our true calling, but I believe it is our intention that defines whether it’s our true calling or not. If our intention is to serve the world somehow through our unique abilities, then we’re living our true calling. The calling itself may take on various forms and outwardly appearances along the way, but if we stay committed to developing and expressing our natural genius in service to something we care about, we’re on the path of our true calling. 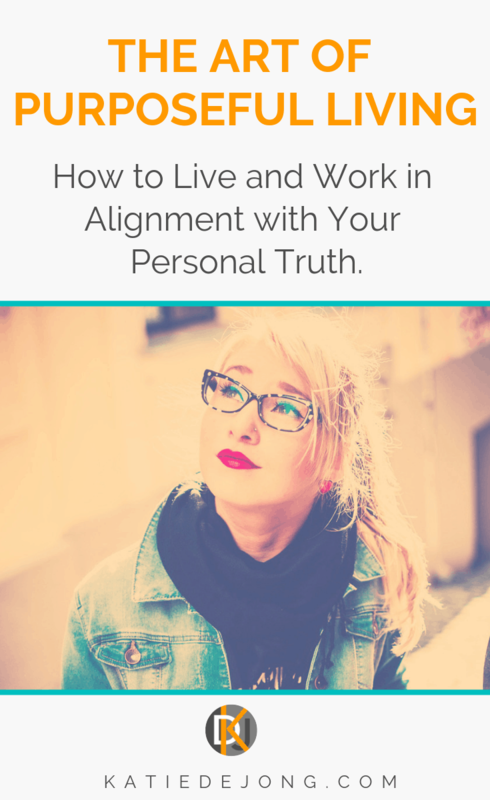 I know firsthand how soul-destroying it can be to feel completely out of alignment with our true calling and to ignore what wants to be expressed through us. I’ve felt a deep call to do something meaningful with my life for as long as I can remember. There was a distinct moment when I was seventeen years old as an exchange student in rural Paraguay, South America, standing on the banks of a local river looking out at people bathing in the polluted water that was just downstream from a major cement factory. I felt called to do something about situations like this where people and nature suffer from the effects of heavy industry. And that’s what I ended up doing for almost fifteen years, working as a process engineer designing wastewater treatment plants that clean up polluted water before it’s discharged back into the environment. It felt good to be doing something to keep our environment and waterways clean. For years I was a strong advocate of sustainable planning and strategy. But even though it felt good to be doing something positive and to work on interesting, challenging and rewarding projects, internally I felt empty and frustrated and a continuous, nagging feeling that there was something else I was ‘meant’ to be doing. If I’m completely honest, I pursued science and engineering to please my parents who thought that engineering would give me lifelong job security and opportunities (which is true). But I most definitely wasn’t operating in my zone of natural genius, or in my zone of joy or true passion. I knew I had gifts to give that were completely untapped. My gifts are in languages, writing, teaching and connecting with people. For years I struggled on in different roles as an engineer, always hoping that the next role would give me the fulfillment and satisfaction I was seeking. But it never did. Eventually, this stifling of my natural talents and heart’s desires turned into very real physical effects. I developed what the medical world could only describe as ‘chronic fatigue’. I battled constantly with lingering illnesses and viruses, combined with continuous, overwhelming fatigue. I kept going to work during this period, but every day felt like a living hell. I can now see clearly that the illness was a ‘soul crisis’ and my body’s way of telling me that I was completely out of alignment. But it took me almost ten years to finally accept that I had to stop living my life to please others and to finally find out what it means to please myself. I had to go through a process of shedding everything that I’m not, and to instead embrace everything that I am, in order to ‘find’ my true calling. 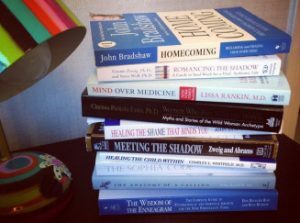 Interestingly enough, after years and years of seeing different therapists, medical professionals and natural healers (with little to no effect), my health made a sudden turnaround on the day I decided to quit my corporate engineering job of almost fifteen years to focus on things closer to my heart. I gave myself permission to give up the struggle and striving and committed to doing only what feels joyful and uplifting. And every day after that my health and energy improved. Today I feel so blessed to experience ongoing health and vitality. And I’m convinced that it’s because I chose to finally listen to my heart and give myself permission to be me. 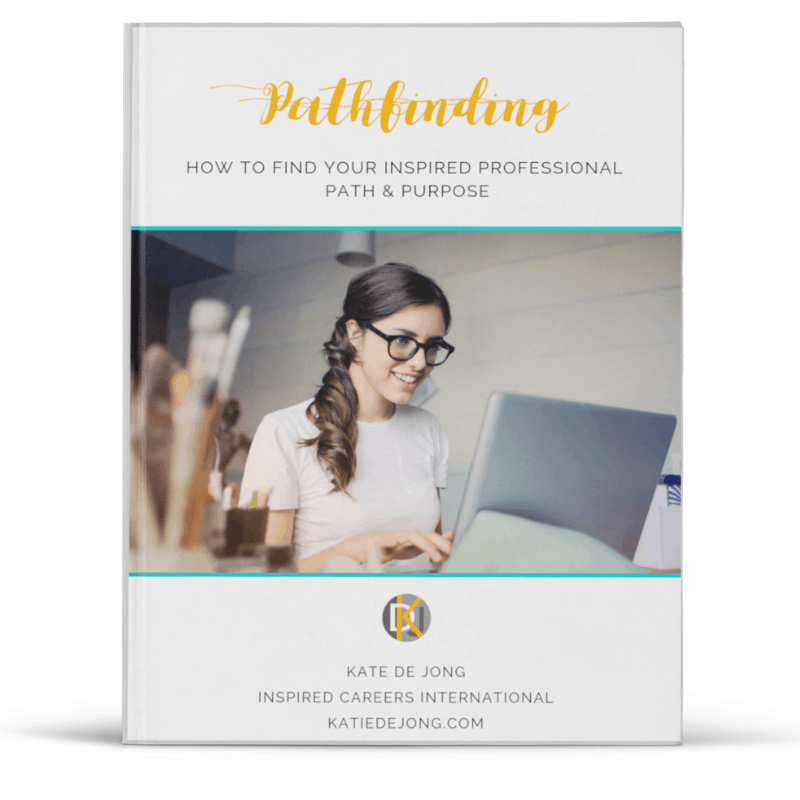 If it feels at all relevant for you, feel free to get a copy of my free E-Book Pathfinding: How to find and start living that special calling that you are uniquely designed for, where I discuss this topic of finding your true calling in depth. Helping you find your true calling really is my true passion! Writing prompt #2: Do I love myself enough to stop working on myself? My immediate response to the question “Do you love yourself enough to stop working on yourself yet?” was – No. I’m not sure if I’ll ever be able to answer that question in the affirmative, although after reflecting on this question these past few days I’ll definitely strive to. Here’s a picture of my bedside table today. It pretty much always looks like this, the titles of the books just shift and change over time. 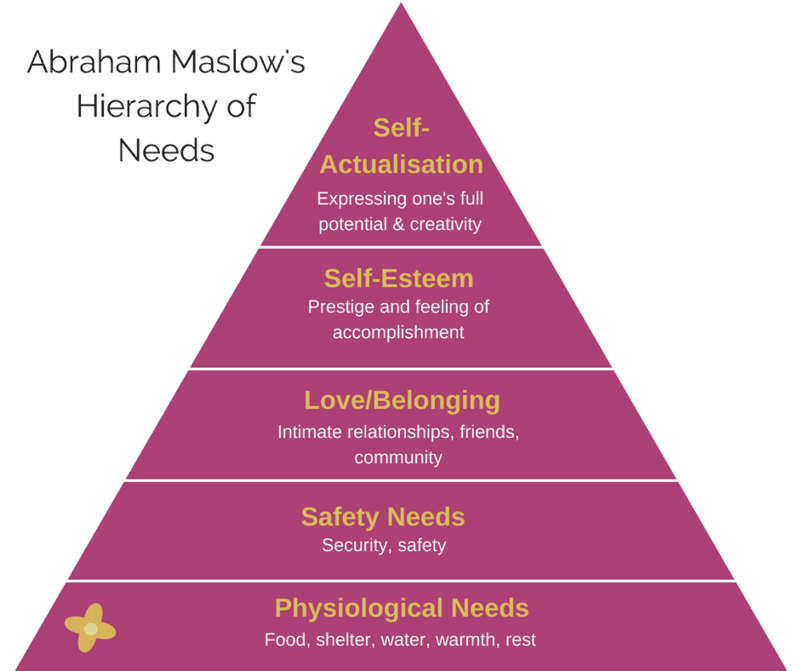 But they’re almost always on topics of personal and spiritual growth, psychology or social entrepreneurship. I’m a life coach by profession, so it’s hard to know how much of my reading is to stay informed and abreast of the latest developments in my field and how much is my desire to improve and ‘fix’ myself (because I don’t love myself enough to stop working on myself yet?). But I find this question intriguing and through-provoking and I’m grateful to Susan Piver for asking it. I feel such an ongoing hunger for knowledge in the area of personal growth, and despite how many times I’ve told myself to take a break and read something different for a change, I always end up getting bored and reverting back to whichever self-improvement book I was reading. So am I constantly reading because I don’t love myself enough to stop working on myself yet? Or am I doing it to better serve my clients? I think both. And because it feels like my calling. In my response to the first Quest 2017 prompt #YourTrueCalling I explained how my true calling happens to be helping others find their true calling. And funnily enough, the one big issue that gets in the way of people having the courage to follow their true calling is SELF-LOVE. We all know the inner critic dialogue that says “I can’t do that, I’m not smart enough” or “I couldn’t run my own business, I’m not savvy enough” or whatever line it is that comes up when you try to justify to yourself why you can’t make the transition to making your JOY your full-time job. “I can’t/couldn’t …. [insert what your heart really wants to do] because I’m not … [insert limiting beliefs and negative judgments about yourself]”. A big part of my work is helping my clients work through their own inner barriers to authentic self-confidence and self-worth (= self-love), just as I struggle continuously with this myself (we’re all human after all). We’ve all built up so many excuses and reasons for why we can’t and won’t commit to pushing ourselves out of our comfort zone and into the zone of uncertainty and fear – where the magic happens! – to follow our true calling. And why? Because we think we’re not good enough and can’t make it happen. Because we don’t believe in ourselves enough. And perhaps because we don’t love ourselves enough to do whatever it takes to make ourselves blissfully happy…? Don’t we think we deserve this and nothing less? We were all born as pure, unconditional love, before we started getting bombarded with negative judgments and criticism from our environment. Panache Desai calls our original pure love essence the ‘liquid gold’ that’s inside each and every one of us. 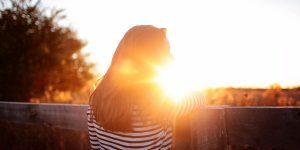 And he refers to it as gold because it can take time to excavate and dig through the layers of emotional scarring that we’ve built up around it to protect ourselves from the pain in the world. 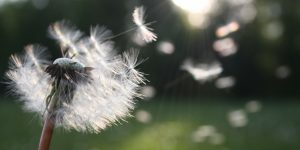 If we want to fully love ourselves, the opinion in the psychology/healing world has been that we need to peel back the layers of the emotional onion, layer by layer, with the help of a therapist, counsellor or healer, to heal them and to rediscover our original, undamaged inner child who knew only love. Or do we? Could we just make a conscious decision right now to love ourselves anyway, emotional scarring, warts, imperfections, flaws and all? I guess that’s the whole purpose of Susan Piver’s question “Who would you be if you loved yourself enough to stop working on yourself?”. Perhaps we’re fine and worthy of 100% self-love right now, as imperfect as we are. What if there’s nothing to learn, do, or fix or improve? Who would I be then? Hmmm. Good question. Could I stop working on myself and love myself anyway? Could I stop bombarding my clients with techniques and tools for removing emotional barriers and instead just mirror back to them the unconditional, pure love that is within them already? Is it my true calling to reflect back to others the liquid gold that is already theirs? Interestingly enough, I had similar thoughts recently when I realized that everything boils down to being able to love ourselves in the midst of all our imperfections. I wrote about this recently in my article Radical Self-Love & Acceptance: Could this be our one true purpose in life? But back to Susan’s question. Who would I be if I loved myself enough to stop working on myself? I would be free. I would be relieved. I would be relaxed. I would be at peace. 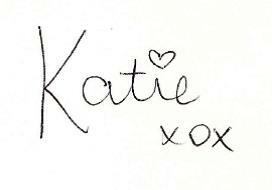 I would love and be loved, fully, unconditionally. I would be secure in the knowledge that I have arrived, and there’s nowhere to go. I would be someone who feels so at peace in my own skin and in my own heart that I naturally exude peace and love to all those I come into contact with. A kind of Dalai Lama. Is that possible? I don’t know. But I’m sure as hell willing to give it a try. Thank you Susan for your beautiful question. I can see now. This is it. This is what we’re all being called to do. To love ourselves unconditionally just as we are, right now, right where we are. In our all imperfection and total perfection. Writing prompt #3: Where will I be brave enough to bring forth even more of myself this year? Hmm. Another good question, thank you Kristen. I guess this brings me to the first question – who am I if I’m being uniquely ME? I believe the keys to our uniqueness lie in who we were as a child, before we became conditioned by our environment. So I started looking there. My uniqueness #1 – An ability to embrace the paradox of life The first thing that comes to mind is that I’m quite a person of paradox. My brother Cam who’s 14 years younger than me always saw this quite clearly. He used to call me a ‘square on the edge’, which I thought was hilarious (once I could get past the square part). When he was young he observed me as a teen and young adult and he saw someone who worked hard, studied hard and got good grades, but who also loved to party hard, rebel and push the boundaries. My mother used to say that I didn’t just burn the candle at both ends, but that I “snapped the candle in two and burnt all four ends”. When people asked me how I did it all I would reply, “I don’t sleep much, I’ll sleep when I’m dead” (thanks Bon Jovi). As I’ve grown older I’ve been forced to find a more appropriate middle road, because living that way is not sustainable (obviously). But I still walk the tightrope between the polarities of my character. I love yoga and meditation and reading books on Buddhism and spirituality, but I also love to drink gin and rock out to Led Zeppelin or AC/DC. I love going for slow, peaceful hikes in nature but I also love to compete in high-energy triathlons. I love drinking my hot lemon juice and green smoothie every morning, but I also love to eat hot chips and drink beer on occasion. I’m a responsible Mum to two young boys and a focused and disciplined small business owner, but I also love to goof around, be silly and dance to Hi-5 with my boys. Embrace and nurture the paradox in myself and others. Speak my mind more freely with the intention to inspire and motivate. Nurture connection and belonging. Ask and listen. Thank you taking the time to read my thoughts. I’m so excited to dive into the next writing prompts to plan the year ahead with possibility and wonder! Writing prompt #4: How will I use my power as a force for good in 2017? At first glance I found this a difficult question to answer, given that I haven’t had a particularly broad sense of the word ‘power’ until I decided to download Dacher’s highly revered book The Power Paradox. I was immediately glad that I did. This is a man who speaks to my heart and who believes that each and every one of us has the potential to be a force for good in the communities and networks we move in. I love how he defines power: “Power is the medium through which we relate to one another. Power is about making a difference in the world by influencing others.” Keltner has a beautiful way of describing this concept further: “Power is not something limited to rare individuals in dramatic moments of their highly visible lives – to malevolent dictators, high-profile politicians, or the jet-setting rich and famous; nor does it exist solely in boardrooms, on battlefields, or on the U.S. Senate floor. Instead, power defines the waking life of every human being. It is found not only in extraordinary acts but also in quotidian acts, indeed in every interaction and every relationship, be it in attempt to get a two-year-old to eat green vegetables or to inspire a stubborn colleague to do her best work.” Given that I’m a mother to two young boys, much of my ‘power’ these days is indeed in getting children to eat green vegetables. I found Keltner’s description refreshing and uplifting, reminding me that power is indeed not limited to how we conduct ourselves in business, but how we operate as a person in every aspect in our lives. In his enlightening book, he defines four ‘social practices’ that constitute powerful, positively influential leadership: empathising, giving, expressing gratitude, and telling stories. He suggests that each of these practices “dignify and delight others… They constitute the basis of strong, mutually empowered ties. You can lean on them to enhance your power at any moment of the day by stirring others to effective action”. So, to answer this writing prompt, I decided to address how I’m going to implement these four practices in my work life, my personal life and my community. Empathising: Like many creatives, I have a natural ability to empathise and I’ve spent much of my adult life trying to figure out where the other person stops and where I begin, so that I can untangle myself from the emotional problems of others and give back what is not mine to carry. Learning to turn down the dial on my empathy register has been a challenge for me and to move from being a ‘fixer’ and ‘saver’ into someone who has healthy, strong boundaries, while still maintaining my ability to empathise. I spend a significant amount of each day empathising with my sons and my husband and the issues they’re dealing with, as well as with my coaching clients where I act as an empathetic sounding board for the challenges they’re working through. However, in terms of using empathy in service to ‘power’ more effectively, I could be more empathetic in my networks and social communities by asking more questions and listening to the answers, as opposed to focusing only on giving and teaching. People like to know they’re being seen and heard, and I can definitely pay more attention to seeing and hearing those in my social networks in 2017, and showing genuine empathy for the challenges they’re dealing with. Giving: Again, giving is a natural part of your profile as a mother and wife. It seems that most of our day is spent in giving our time, attention and focus to people other than ourselves. However, I can definitely focus on giving more to my clients this year in terms of excellent service, providing more free resources and helpful information to support them on their journey. The same goes for my social media networks. After reading Dacher Keltner’s book, I believe that a subtle shift in focus from ‘marketing’ with an agenda of giving to receive, to plain and simple ‘giving’ will help me grow my social outreach more organically, with more authentic and genuine impact. Expressing gratitude: While gratitude has been a focus of mine for a few years now, this is definitely something I can always do more of. I can extend heartfelt gratitude to those people already within my networks and in my community, because without them, I have no ability to have any ‘power’ or ability to influence others. I can express more gratitude to my family and friends because they are my support, my nourishment, my everything. And I can especially extend more gratitude to my clients, because without them, I have no ability to build my business, to develop my gifts, to live my true calling or to affect any kind of positive change. Telling stories: I love this one. I really believe that stories are how we connect to each other. It’s through sharing our stories that we connect authentically, share our humanity, our vulnerability and our strength. And most importantly, stories help us know that we’re not alone in our humanly struggles and triumphs. I’ve written about the Power of Story in a recent blog post. Until now I haven’t thought of telling stories as an effective ingredient of leadership, but I can see how it is. Leadership is all about creating connection and a sense of camaraderie around a common cause. I will strive this year to use story – both telling my own stories and encouraging others to share theirs – as a way to nurture a feeling of camaraderie, belonging and togetherness in my networks. As Jeffrey always says, Doing It Together (DIT) beats Doing It Yourself (DIY)! Thank you Dacher Keltner for helping me reflect on this topic and for your valuable, refreshing insight. Writing prompt #5: What sacrifice am I willing to make in 2017 in service to the greater good? I’ve definitely done all of that and more 0ver the past six to eight years. Would I have it any other way? No, absolutely not. 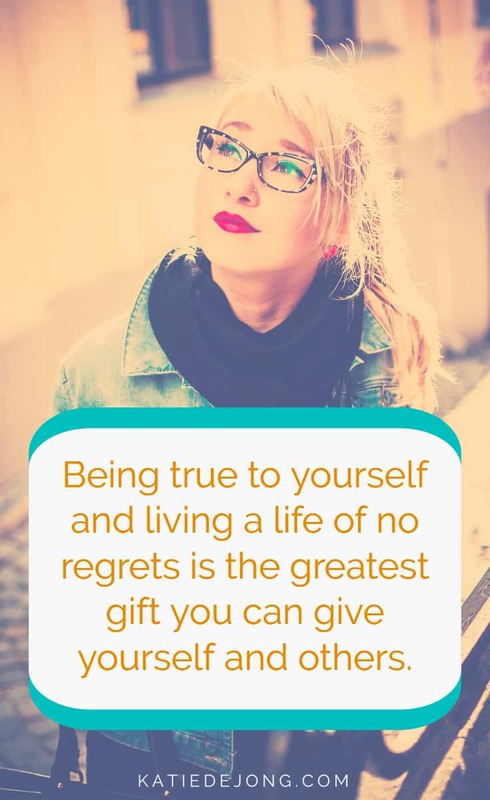 And yet I’m at the point in my life where I’m ready to reclaim my life, to start building my own identity again and to keep working on building my business and my dreams, which include the ability to inspire and empower others to live their best lives through my small coaching practice. The hardest part for me over the past six to eight years has been the need to put my work and my business on the back-burner to focus 100% on my family. This year I’m finally in a position where I can start to focus more on myself and my work and that feels good! So, what is one personal sacrifice I would be willing to make this year in service to the greater good? Hmm. My greatest challenge as a mother to young boys is time. What do I need to sacrifice in order to find more time – Sleep? Family time? Time with friends? Sport? Social outings? No, I’m no longer prepared to sacrifice those important things because they’re what make life so rich and rewarding and I believe we must enjoy the journey as much as – if not, more than – the destination. Rather than sacrificing life’s small pleasures for the sake of the greater good, I believe that my ability to make a positive impact will lie in becoming more focused in the time that I do have. I’m making a commitment to myself to spend more time planning and less time jumping in and engaging in random actions that aren’t aligned with a bigger vision. 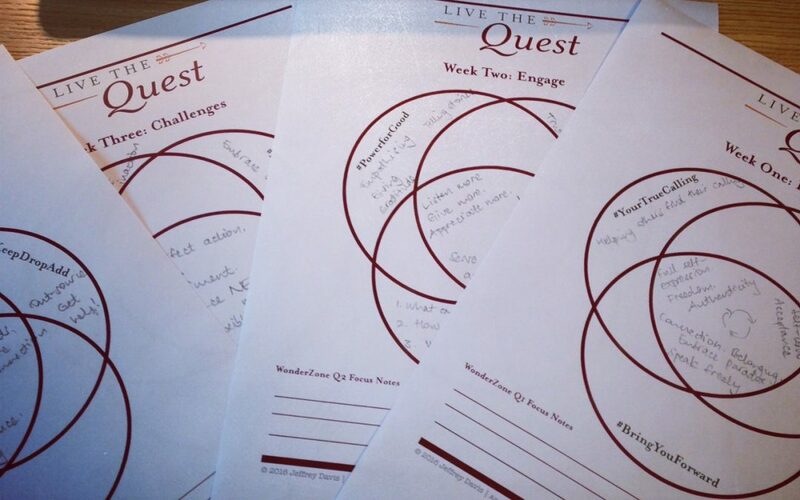 I’m making a great start by planning the year with Quest 2017 for the first time, and I start private business coaching next Monday to help me approach 2017 with laser focus. I’ve decided that my one big personal sacrifice this year will be along the lines of what many fellow Questers have already voiced – my addiction to playing safe and small. While I continue to play small and keep my (potentially) controversial thoughts to myself, I’m not serving anyone. The fear of speaking out and attracting negative feedback is irrational and no longer a reason to withhold the gifts I have to offer by speaking and writing freely. It’s only through truth, raw honesty and authenticity that we have the ability to provoke, invoke and inspire. It’s only by daring to put ourselves out there and be seen, that we reap the joy and satisfaction of being of true value and service. My pledge for 2017 This year I’m willing and prepared to sacrifice my addiction to playing small and safe. I will endure the (potential) discomfort of negative feedback when voicing my opinions freely and without inhibition. I commit to stepping up into greater visibility in the knowing that in doing so, I’m helping others do the same. Thank you Scott Barry Kaufman for helping me reflect on this topic and for your valuable, refreshing insight. Writing prompt #6: How will I shift my focus from ‘keeping busy’ to ‘leaving a legacy’ in 2017? Hmm… another great question, thank you Jocelyn. I often help my coaching clients get a sense of the kind of legacy they want to leave, so they can build a life vision and goals around that. It’s a very useful and powerful technique for getting through to people’s desires and motivations in life. But it’s been a while since I’ve reflected on the question of legacy myself. So thank you Jocelyn for the prompt. What kind of legacy would I personally like to leave? When I think of legacy I often think about what my dearest ones would say about me at my funeral. I’d love to be remembered for my big heart, for my big dreams and my zest for life. I’d love people to say that I uplifted them, nourished them and made them feel good about themselves and their choices. I’d love people to remember me as someone who was fun to be around and who could make them smile and laugh. I would be touched if people felt that they could be themselves fully around me, knowing that my heart is warmed by people who have the courage and confidence to be themselves without inhibition, who don’t care what society expects or demands, but who choose to do what makes their heart feel good. But in reflecting on this, I have to remind myself that legacy is not what people will remember about you when you die … it’s about what you leave behind that will continue on without you when you’re no longer here. What’s one thing I can do today that will allow me to serve people more effectively? 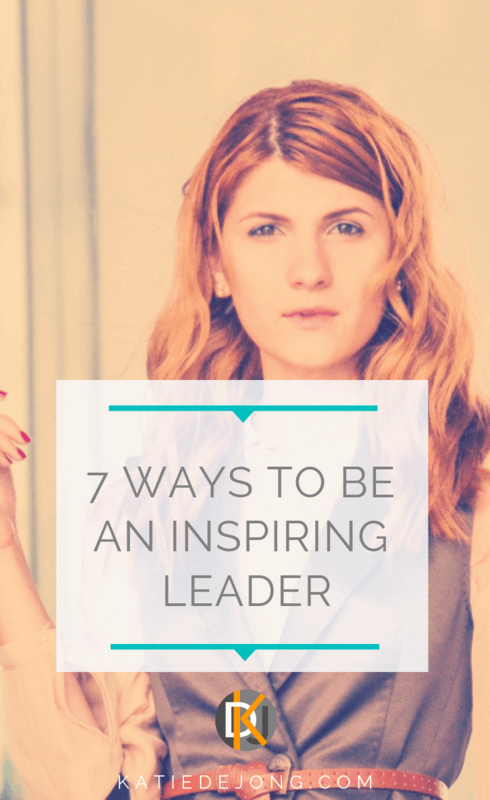 What can I do today to uplift or inspire someone to step up and find more courage and confidence? What can I do today to build on my legacy of helping people get their natural gifts into the world? I’m excited about the New Year and the chance to see how these questions might act as a daily compass to keep me focused on the bigger vision and legacy for my life and my business. Writing prompt #7: Do you spend your time acting or reacting? This will be a short response today. I’m very fortunate that I’m a Mumpreneur who gets to divvy up my time in the way I want, working from home while raising two young boys. They both go to wonderful schools and so I have time during the day to work on projects that I want, without the inevitable disruptions and distractions that come with working in an organisation or company. So, I spend my days every day acting very intentionally, rather than reacting to things around me. It’s a delightful way to live and I chose very intentionally to live and work this way so that I can focus my time and efforts on my life work and passions. One of my biggest frustrations in my old corporate career was the inability to focus and get things done, due to the constant need to react to the things happening around me. So it’s truly a blessing to be able to work the way I do now. My biggest distraction while working from home is my own procrastination and household chores than can always be done, rather than working! I find that having a very detailed plan of what I need to do each day helps me to focus and stay on track and inspired with the work I’m doing. Writing prompt #8: Adapt from within or adapt from without. Are you ready? I think this is a great question and so relevant for the times we’re living in. I’ve spent a lot of time in my life wondering how to best adapt to the times we live in. I studied Biotechnology at University, largely because of long discussions I had with my Dad when I was trying to figure out what to study. We both agreed that innovation and environmental protection were going to be big needs in the 21st century and Biotechnology was at the forefront there. My Honours research was on a topic called ‘Bioleaching’ – a mining process that harnesses bacteria to remove precious metals from minerals. It was a pretty novel process for the mining industry back in the late nineties. My first professional job was with BHP in Reno, Nevada (USA) in 1998 as a process engineer. It was exciting to be involved in cutting edge, innovative projects that promised to be more environmentally responsible. But then I experienced my first mining industry crash in 1999. Less than one year out of University and the entire mining industry ‘busted’ as metal prices came crashing down. The BHP headquarters in Reno was forced to close its doors and my colleagues and I were made redundant from one week to the next. A classic case of ‘adapt from without’. I vowed after that experience I would never work for such a volatile industry or allow my life to be so heavily dependent on market conditions. I decided to go back to University and study further in the field of environmental engineering. I was determined to do something positive for the environment and to immerse myself in a more stable and predictable industry. I had an interesting and challenging career in water management and I was fortunate to experience the good times in Australia from 2005 to 2011. Infrastructure projects were booming and the engineering consultancy I worked for had an over-supply of exciting, large and challenging water projects to work on. Engineers could name their price and pick and choose where they wanted to work. We received generous pay rises each year and bonuses were in abundance. They were definitely the glory days. And then in 2012 the bubble burst. On the back of yet another resources industry collapse, engineering consultancies across Australia were forced to let go of many of their staff and those left behind were forced to fight over the small project scraps being tendered out, as infrastructure expenditure halted across the country. We were fortunate enough to be in a position to move overseas with my husband’s work in 2011 for a 5-year long adventure in Paris, France followed by Geoje, South Korea, for his role on Shell’s first ever floating LNG facility. When we first arrived in Geoje in 2013 it was yet another ‘boom’; big companies from all over the world were working on large shipbuilding and oil & gas projects at the massive shipyards here in Korea and expats were flown in from all over the world with generous salary packages. And then the bubble burst again. For the past two years oil prices have come crashing down and again massive projects are being shelved and people are being laid off. In 2011 I’d had enough of the boom-bust cycle in engineering and I made the decision to branch out on my own and start my own coaching business while raising our young family. I’m so grateful I did. 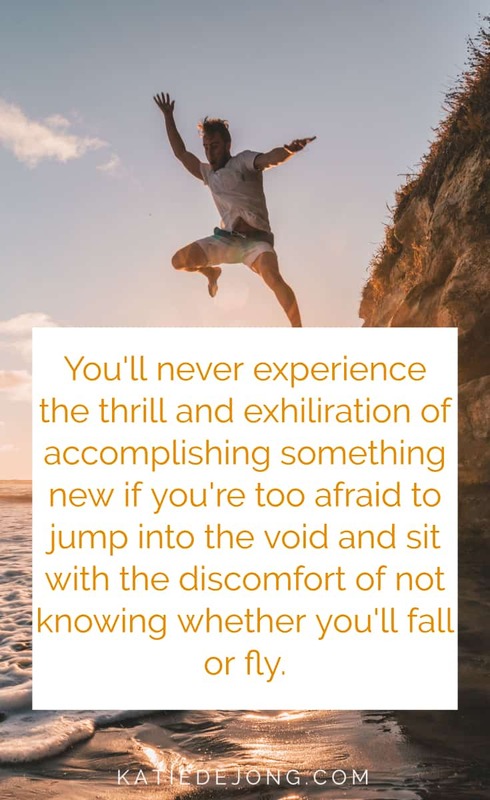 It hasn’t been easy and I’m learning the hard way that working for yourself is uncertain and challenging and it stretches you well beyond your comfort zone. But the rewards are deep job satisfaction, flexibility and an ability to do things on your own terms. You get to do what you want, when you want, and work on things you care about deeply. But most importantly, you develop a certain resilience and ability to generate income even when times are tough globally. If you offer something of real value where there is a deep and consistent need, then you’ll always find a way to serve people and build your business in the process. Adaptation has become my middle name since branching out on my own. I’ve been on a steep learning curve while adapting to the field of coaching and the online business world. I’ve had to learn how to set up and run my own website and blog, how to create and launch programs, how to market and sell my services, how to set up online systems to support and develop my business and how to move with the times in technology so that I can stay afloat and embrace the fast-pace changes in the online world rather than get left behind. 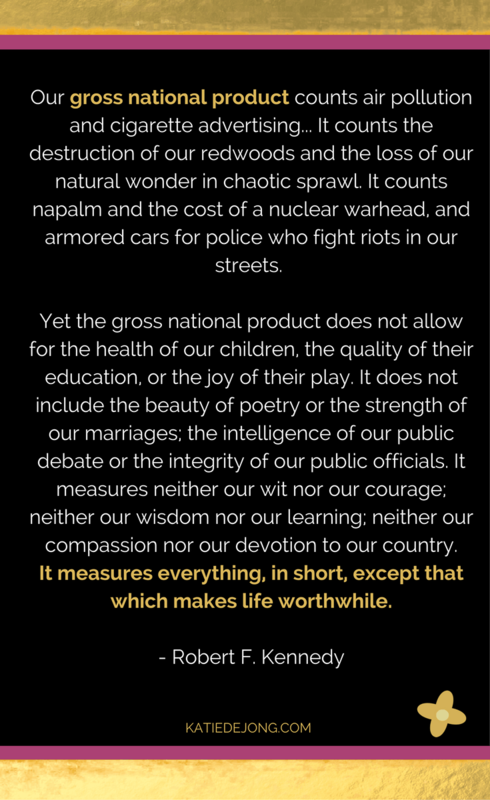 It’s become plainly clear to me that we’re facing times of unprecedented change. It’s most definitely a time where we need to adapt from within or be forced to adapt from without, as Linda Rottenberg suggests. I’m so incredibly grateful that I happen to love change, variety and finding new and creative ways of doing things. So to answer Linda’s question – “Adapt from within, or adapt from without – are you ready?” – my answer is YES! Bring it on. Writing prompt #9: How will you stop yourself from being held back this year? I didn’t need much time to reflect on this one, and my answer will be short. I’m thankfully in a phase in my life where there is nothing holding me back except my own fears and inner gremlins. I’ve worked in many organisations and institutions during the course of my life where I’ve felt held back in some sort of fashion. My decision to branch out on my own in 2011 was a direct result of this frustrating feeling. Now that I’m working on my own terms, I’mrevelingg in the delicious feeling of freedom and free reign to work how and when I want, and to impact the world around me in the way I want. Nothing feels more delightful than that, and it’s my mission to help as many people feel the same way! Thank you Desiree for the prompt! 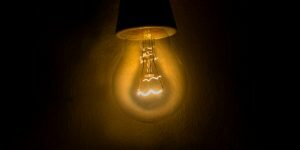 Writing prompt #10: What is your intuition telling you to do in 2017? Writing prompt #11: How will you take stock of your habits and improve them in the coming year? Charlie advises that in order to make way for new things in our limited time, we need to ‘drop’ some things. He asks us to reflect on which things in our lives should stay, which things should be dropped, and which things should we add? Thanks Charlie for this reflective prompt. It was necessary for me to think about these things with intention, even though my habit is to just keep ploughing ahead without thinking about these things. I think I can answer this one fairly quickly. Here’s what I’ll keep, drop and add this year. KEEP: My morning 20 minute yoga routine, quality family time on weekends. DROP: Unfocused time on social media, trying to do things myself that I’m not good and instead pay for help to do those things. Paying for help with the tasks required for running my business is the only way I’m going to break the unproductive cycle and win some extra time in my day. This will be a big goal for me this year. ADD: More self-care (a massage once a month, more yoga practice, more meditation), more telephone chats or catch-ups with friends, more date nights with my husband. Writing prompt #12 – What does your ideal day look like? This is a fantastic exercise that I get my coaching clients to do when I’m working with them. The only way we can begin to create the life we reallywant is to first imagine it. The hard part here is to let our mind think truly big, rather than confining ourselves to what we think is possible. It’s not easy to imagine our most ideal life, but opening up our imagination to what’s possible is the first and critical step to creating more magic in our lives. It was great for me to spend the time reflecting on this (I don’t tend to do it enough myself). Here’s how my ideal day would look: It’s December 2017 and it’s been a truly wonderful year. I wake up to the gentle noise of birds outside our window and as I lie in bed I give quiet gratitude for the day ahead and for all the blessings in my life. I wake up gently, put on my yoga clothes and head outside in the cool, fresh morning air with my yoga mat to do my fifteen minute yoga routine on the back lawn. The sun is just coming up over the horizon and the birds are chirping on this beautiful, warm summer morning. I feel my body ground down into the earth as I move through my yoga poses and then I sit quietly in ten minutes of meditation and reflection, imagining a perfect outcome to the day ahead. I head inside to make my morning lemon juice. My boys are now awake and we enjoy a cuddle, a chat and breakfast together. It’s my husband’s turn to get the kids organized and off to school this morning, so I take the time to relish a long shower and prepare myself for my exciting day ahead. Today I’ve been invited to speak on ABC Radio about my Joyful Career Academy that helps young adults through a process of self-reflection and self-discovery that identifies their unique strengths and soul gifts, to uncover the most ideal career path that allows them to bring their full self into the work place. Before the talk after lunch, I’m spending the morning with two of my favourite coaching clients who I’m guiding through a process of starting up their own business. We’ll be working through some of their biggest challenges and helping them break through their blocks to maor growth in their business. After the delightful coaching sessions I go out for lunch with a dear friend of mine and we discuss all things from family life and holiday plans to the things that light up us up and make us feel excited. We discuss music, fashion, sport, shopping, our latest projects and ideas. After a nurturing conversation, I head off to the ABC to get ready for my talk. It’s a wonderful afternoon connecting with like-minded people and reaching out to more people with my message. 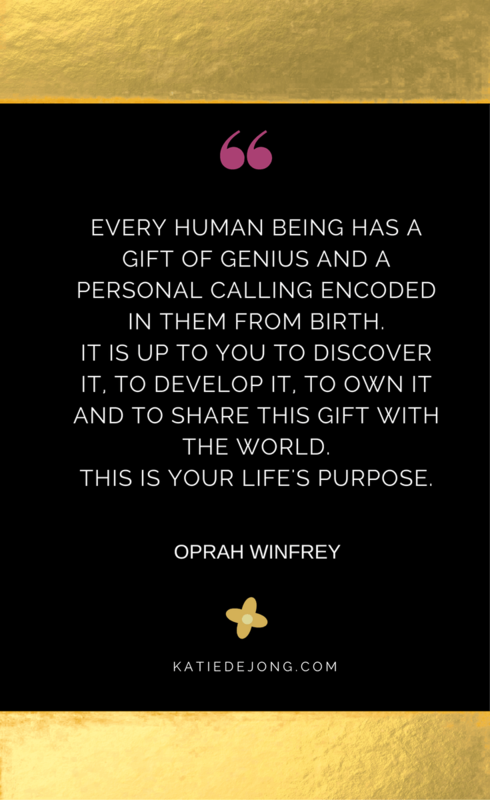 I feel uplifted and inspired by the impact I’m able to make in helping people unleash their natural genius and get their unique gifts into the world in a way that makes them feel deeply fulfilled, satisfied and valued. I head to school to pick up my beautiful boys and we head down to the beach for a play in the sand, a swim and an ice-cream. My husband meets us down at the beach for fish and chips. We all head into the water for one more swim and play before we head home. The kids go to bed easily after a bath and bedtime story, and my husband and I relax onto the couch to enjoy some quiet alone time with a good glass of red wine. It’s been a great day. It’s been a great year. I’ve developed a full and rich website of resources and guidance for people seeking a more fulfilling working life. I’ve earned my first wonderful annual income based on my high-end coaching packages and public speaking engagements. I’ve launched an online course to help fulfilling career seekers find and live their calling. I have a wonderful team of talented, highly competent people working for me and helping me serve and reach more people. We moved back to Australia and found the perfect family home, in a suburb we truly love. We’ve made new connections and rekindled old ones. We’re surround by caring friends and family. We really are truly blessed. BONUS writing prompt #13: How will you manifest your understanding that we’re all connected? I truly do believe that we are all connected and that when we make the decision to show up powerfully and be the best version of ourselves, we have a positive and inspirational impact on those around us. 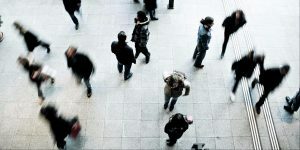 We impact the world predominantly through our connections and relationships. And so this year I commit to connecting and reaching out more, to proactively building networks and communities with the intention to serve as many people as I can with my message. My message is an echo of Howard Thurman’s famous quote “Don’t ask yourself what the world needs. Ask yourself what makes you come alive, and then go and do that. Because what the world needs is people who have come alive”. There are so many people out there feeling less than excited about their work. 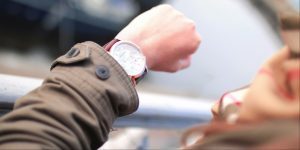 So many people drag themselves into their office or workplace and feel frustrated, uninspired or at worst, depressed and loathing about the way they spend their days. Many people don’t know how to lift themselves out of the rut in which they’ve unknowingly landed and struggle with the nagging feeling that there must be a more enjoyable and fulfilling way to live life. Many people feel they have a ‘calling’, if only they could figure out what it is and know how to live it, and how to make enough money in the process to quit their day job. I will show up for those people this year. I’ve heard many stories lately from friends and acquaintances who struggle at a very deep level with overwhelm and fatigue in life. One of them said “I just have to rediscover my love for my work”. But perhaps the love for your work has changed or been lived to its completion and it’s time for something different. We need to let people know that it’s okay to crave change and something different. It’s a very normal and healthy reaction to life, if we could only embrace the positive side of wanting change. We shouldn’t see it as a failure or a shortcoming of our own in some way. It’s simply acknowledging that you’re ready for the next exciting phase of life. There are ways to change or shapeshift your career to find more pleasure and enjoyment in day to day living. 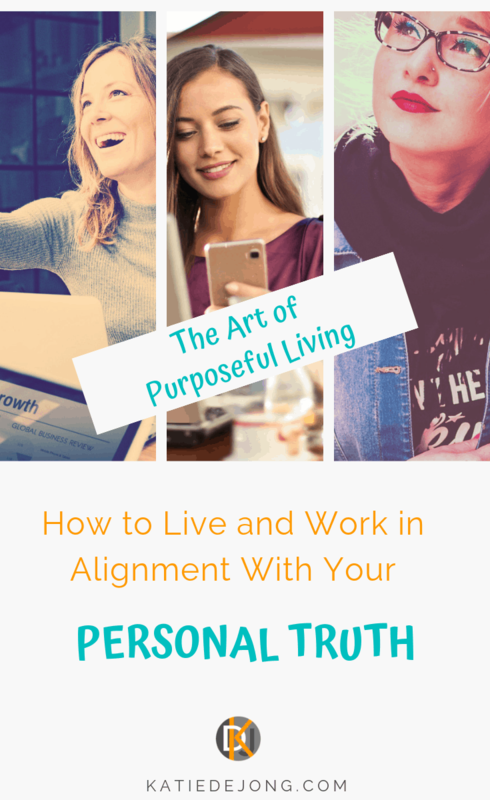 It is possible – and necessary – to move in the direction of something that lights you and up and allows you to use your strengths and talents in a way that offers real value to others. It’s possible to love your life, and you should! Life is too short, it’s a tragedy if we spend our time feeling stuck and overwhelmed. So – my commitment this year is to show up for all of you who struggle with the issues I just described. I know how it feels. I’ve been there – for almost 15 years I was there, struggling with feelings of frustration and complete lack of inspiration. And now that I know the joy of finding my calling, I want more than anything for everyone to feel that kind of deep joy and satisfaction every day. So dear friends, this year I will be here for you, cheerleading you and motivating you to dig deep, to find your calling and most importantly find the courage to take the necessary steps to get out there and start living it. And since we’re all connected, I know that any small positive impact I can have on someone’s life, those changes will flow onto the people around them and the ripple effect takes action. All we need to do is step up and show up for the people we’re here to serve. Wow. What a process! So much reflection and deep processing of my values, thoughts and ideals. I’ve emerged so much clearer and stronger in my convictions and plans for the year ahead. Thanks to Jeffrey Davis’ tools and resources, I’ve been able to process the different themes and visions to come up with a solid plan for 2017. I feel really thankful to have been able to participate in this process. A big shout out to anyone who wants to jump on board this process for next year, I highly recommend it. And I hope that by sharing this process with you, it’s helped you in some way on your journey.